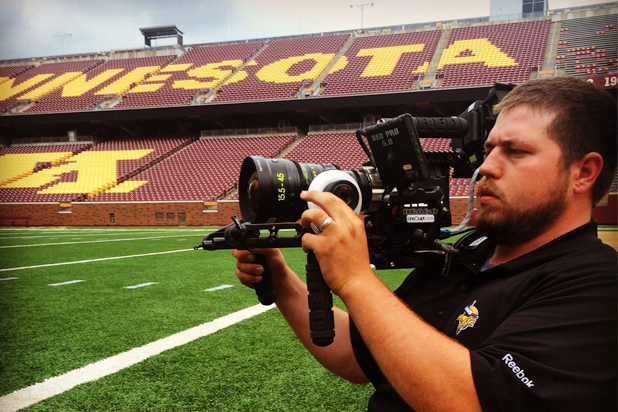 Since graduating from Bethany in 2011, Marcus Taplin has been involved with several exciting freelance gigs in and around Minneapolis, Minnesota. For the past year, Marcus has been working as a freelance Director of Photography for TV shows like Diners, Drive-Ins & Dives on the Food Network, Bath Crashers on DIY Network, and a new show called World Access on the Travel Channel. 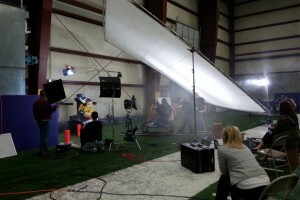 He has also worked on many other projects like Pepsi’s Real Big Summer campaign, Best Buy commercials, Minnesota Vikings commercials, Minnesota Gophers intro videos, and most recently an independent feature film called Dragonfly. You can find a full list of the productions Marcus has worked on along with behind the scenes videos on his website, marcustaplin.com. Working with the Minnesota Vikings.